Mike Clowser, the chief executive of ARTBA chapter affiliate the Contractors Association of West Virginia (CAWV) has been named the 2017 “Man of the Year” by the American Society of Highway Engineers (ASHE), North Central West Virginia Section. He received the honor at a March 29 banquet. In 2017, Clowser helped steer the state’s “Roads to Prosperity” $1.6 billion road bond amendment. 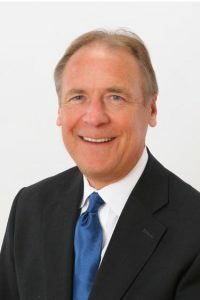 During nearly 40 years in the industry, he has worked with state officials and local governments to create economic development and job opportunities. He has consistently advocated for robust investment in highways, bridges, and other infrastructure that enhances the quality of life for all West Virginians. In addition to his CAWV duties, Clower has also served on many charitable and non-profit boards. He is a long-time elected member of the Charleston City Council. He is the past chair of ARTBA’s Council of State Executives.